Can you drink the tap water in Portugal? One question that Portugalist gets asked a lot is whether or not the tap water is safe to drink. The short answer is: yes, you can drink the tap water in Portugal. It isn’t as nice as tap water from other parts of the world (Ireland and Scotland, for example), but it’s perfectly safe to drink. 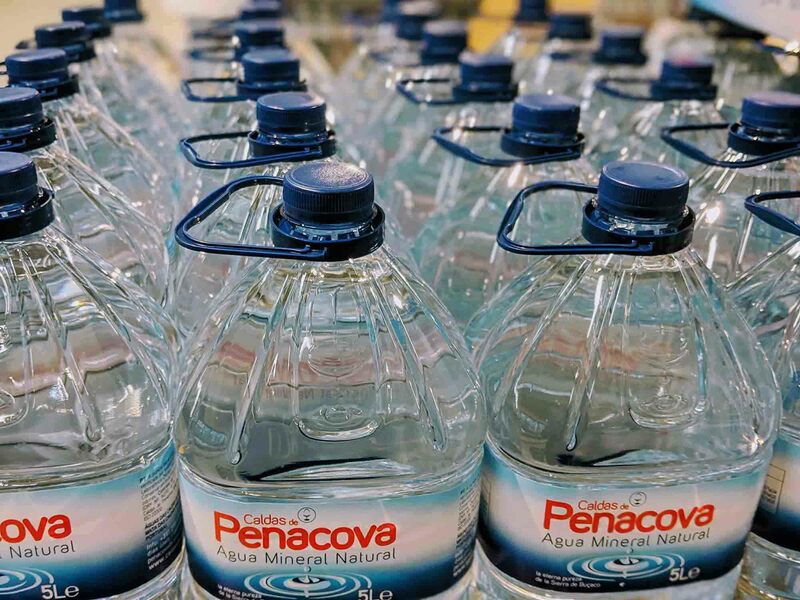 You’ll see plenty of Portuguese people buying bottled water, but that’s just because it tastes nicer. The only downside is carrying the bottles home and recycling them when you’re done – and, of course, all the plastic that gets used. Alternatively, some people who live in Portugal long-term invest in a Brita filter. This takes away the unpleasant taste, and means you don’t have to buy as many big plastic bottles of water. The filters last around 2 months each, and you can buy them in bundles from Amazon and in the supermarkets as well. If you don’t have any bottled water or a Brita Filter, add a squeeze of lemon juice. It hides the flavour somewhat. Why do people think it’s not safe to drink? Water in Europe, especially Western Europe, is pretty much always safe to drink. That hasn’t always been the case, however. During the First and Second World War, the water did become contaminated and, British and American soldiers wrote home complaining about the undrinkable water. That was a long time ago but, for some reason, many people still think the water in places like France, Spain, and Portugal is unsafe to drink. Some people won’t even brush their teeth with European tap water. I’m not talking about old people who grew up during the war, either. Often it’s young people. The rumours that you can’t drink the water in Europe is just something that seems to get passed down from generation to generation. Many people also think that just because the water tastes bad, that means it is bad. That also isn’t true. Hard water, and water that has a noticeable amount of chlorine in it, tastes bad but that’s it. Can I ask for tap water in a restaurant? Bottled water is very expensive in Portuguese restaurants, and often costs around €4-5 per large bottle. The same bottle probably costs less than €0.50 in the supermarket. You won’t get served tap water in a restaurant unless you specifically ask for it but, if you ask for it, you should get it. Be aware that because it’s not something that the Portuguese ask for, so you might get a strange look if they’ve never been asked before. For many people, it’s worth it if it means saving on the cost of bottled water. Have you tried the tap water in Portugal? Do you drink it or buy bottled water? Let us know your thoughts by leaving a comment below. Absolutely agree. The price of water in cafés and restaurants is just ridiculous. Sometimes the water in Portimao smells strongly of chloride. The municipality encourages us to drink the tap water, but I don’t think it is healthy. Yeah, the water in Portimão and Lagos can be a bit like that unfortunately. As to the safety of it, I think you have to make that decision yourself.